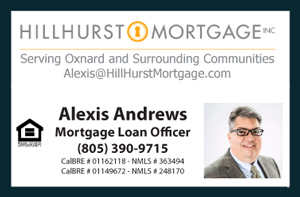 The time to own is now with this opportunity at 2589 Alvarado St. Home For Sale in Oxnard CA. 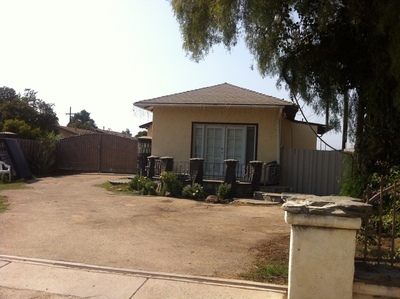 The house is located only a few blocks from the 101 Freeway in the El Rio Neighborhood. It is also located near The Collection at Riverpark; an up-and-coming development in Oxnard, County of Ventura that features new shopping and dining. Although located near new and modern development, the immediate surrounding neighborhood has an open rural feel to it that can be appreciated. Enjoy the best of both worlds and a family environment. Built in the 1920’s this 2 bedroom 1 bath home sits on a large lot that is over 10,000 square feet and private. At the back-end of the lot is the detached two car garage with ample space for RV Parking and more. Almost at the center of the lot is a large custom made brick BBQ pit area. Additional parking space available at the front end of the house. Inside the house there is recessed lighting, laundry area, tiled flooring throughout and carpet in both rooms. The kitchen has stoned counter tops with a dining area. The first room has door access to the front patio balcony. The house has been occupied by the same tenants for over 5 years and has been well kept. 2589 Alvarado St. in Oxnard CA has 4 Public Elementary Schools pertaining to Rio School district: Rio Real, Rio Lindo, Rio Plaza, and Rio Del Mar Elementary Schools which have from 25 up to 30 students per teacher. In addition, available are also Rio Del Valle and Rio Vista Middle Schools as well as Pacifica High School about 1 mile away. Nearby and conveniently located are various local business along Ventura Blvd off Alvarado St. such as Dunn-Edwards Paints, Warehouse Discount Ctr. and more. Great and convenient shopping is also a few blocks away- over the 101 Freeway at the Rose Shopping Center you will find Wal-Mart, Sam’s Club, Vons and more or go a little north on the 101 Freeway to the Collection at Riverpark and visit Whole Foods, REI, H&M and more stores having grand openings.